The Qwillery: Arabella of Mars Blog Tour - Interview with David D. Levine and Giveaway! 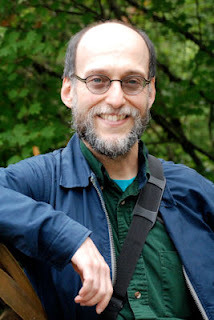 Arabella of Mars Blog Tour - Interview with David D. Levine and Giveaway! 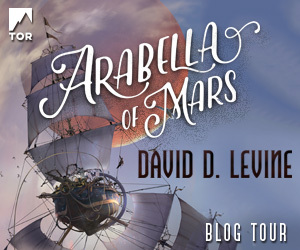 Please welcome David D. Levine to The Qwillery as part of Arabella of Mars Blog Tour and the 2016 Debut Author Challenge Interviews. Arabella of Mars will be published on July 12th by Tor. David: I've been writing SF since I was a kid, to the extent that my middle school and high school writing teachers asked me to try writing something else. But I stopped writing fiction after college, when I was working as a technical writer and it was too much like the day job. I started writing fiction again when I changed from technical writing to software engineering in 1999. David: I am SUCH a plotter. I've tried pantsing, and it's just impossible for me to start writing a story without, almost immediately, knowing what comes next and the ending. That being said, as I grow more experienced I find myself outlining in less and less detail, and pantsing more and more between outline points. TQ: You've written over 50 shorts stories, have been shortlisted for the Nebula, Campbell and Sturgeon Awards, and have won a Hugo Award. What were the biggest challenges for you when writing a novel? What did you enjoy the most about writing a novel? David: The biggest challenges when writing a novel were keeping all the details straight in my head and just finishing the darn thing. 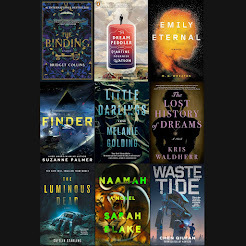 It takes me about two years to finish a novel draft, and I really hope I can find some way to speed that up because my next deadline is only a year away. My favorite part of novel writing is having the time and space to really learn about the world and characters. TQ: Describe Arabella of Mars in 140 characters or less. David: ARABELLA OF MARS is a Regency Interplanetary Airship Adventure. It's the story of a Patrick O'Brian girl in a Jane Austen world. TQ: Tell us something about Arabella of Mars that is not found in the book description. David: I've tried to be as faithful as possible to real physics and the technology of the early 19th century... which is not to say I haven't handwaved some things. TQ: What inspired you to write Arabella of Mars? 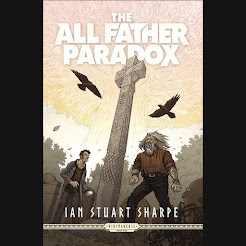 What appeals to you about writing Alternate History? David: I started with the idea of a solar system full of air, then began to wonder how people would first have discovered this. I figured it would have been during the Enlightenment, which led to the idea that the exciting period of interplanetary exploration would have been in the 1700s. My writing style has been described as old-fashioned, so I decided to turn this bug into a feature and write historical fiction! TQ: What sort of research did you do for Arabella of Mars? David: I read tons of reference books and primary sources on the Regency, the Napoleonic Wars, the East India Company, and the British presence in India and China... and lots of Patrick O'Brian novels. TQ: The novel is set primarily on Mars. In your opinion what is the allure of Mars? David: Mars is our nearest neighbor in space and a near-twin of Earth. It's been a fascinating place for people to project their ideas about the possibilities of life other than what we know for the entirety of human history and probably even before that. What's not to love? David: Captain Singh was the easiest. He is very much like me: cool, intellectual, and distant. Arabella was the hardest, because she's on stage for the whole book and she needs to go on a difficult journey both physically and emotionally. TQ: Why have you chosen to include or not chosen to include social issues in Arabella of Mars? David: With this book I have tried to examine issues of gender, race, and cultural relations using the Regency period as a lens to focus on our own time. Arabella, a tomboy raised by Martians, is an outsider in her world, but she also has considerable privilege because of her race and class. In her adventures she abandons some of that privilege (leaving the gentry for a life as a common airman) but also gains privilege (leaving the woman's world for life as a man) and learns much in the process. TQ: Which question about Arabella of Mars do you wish someone would ask? Ask it and answer it! Q: Would the flying ships you've described really work? A: I've done my best to make them at least plausible, but I think that for them to really fly would require an adjustment to the force of gravity and some other fundamental physical constants. 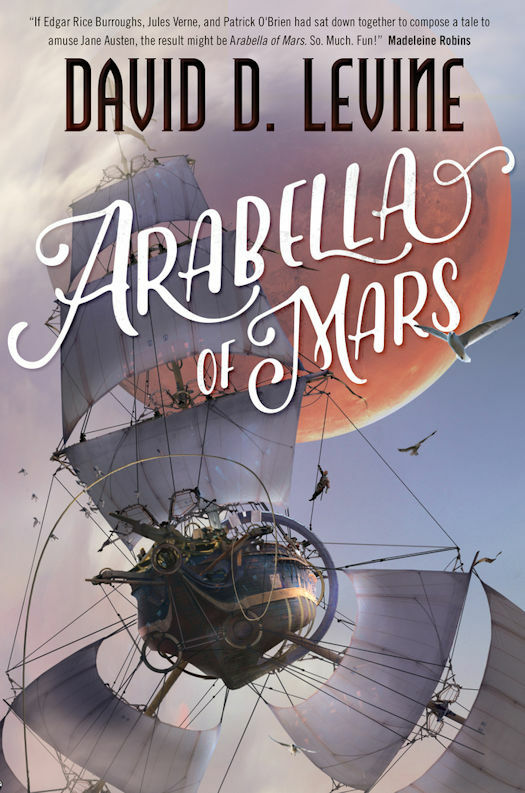 TQ: Give us one or two of your favorite non-spoilery quotes from Arabella of Mars. "Some day, Arabella thought, perhaps she might take passage on such a ship. To sail the air, and see the asteroids, and visit the swamps of Venus would be a grand adventure indeed. But to be sure, no matter how far she traveled she would always return to her beloved Woodthrush Woods." "Setting her candle down, Arabella seated herself on the floor behind the automaton and lifted its skirts, in a fashion that would have been most improper if it were human. Beneath the suffocating layers of muslin and linen the automaton’s ingenious mechanisms gleamed in the candlelight, brass and ivory and mahogany each adding their own colors to a silent symphony of light and shadow. Here was the mainspring, there the escapement, there the drum. The drum was the key to the whole mechanism; its pins and flanges told the device where to place its fingers, when to nod, when to appear to breathe. From the drum, dozens of brass fingers transmitted instructions to the rest of the device through a series of levers, rods, springs, and wires." David: At this writing I have just finished the first draft of book 2 in The Adventures of Arabella Ashby, currently titled "Arabella and the Battle of Venus." There will be a book 3, and I've begun thinking and researching for that. I've also just completed a short story, the first one of those in many months. DAVID D. LEVINE is the author of more than fifty science fiction and fantasy stories. His story "Tk'Tk'Tk"won the Hugo Award in 2006, and he has been shortlisted for such awards as the Nebula, Campbell, and Sturgeon. His stories have appeared in Asimov's Science Fiction, Analog, The Magazine of Fantasy & Science Fiction, five Year's Best anthologies, and his award-winning collection Space Magic. He lives in Portland, OR, with his wife, Kate Yule. You can visit him online at http://www.daviddlevine.com/. Who and When: The contest is open to all humans on the planet earth with a US or Canadian mailing address. Contest ends at 11:59 PM US Eastern Time on July 22, 2016. Void where prohibited by law. No purchase necessary. You must be 13 years old or older to enter. Out of the Silent Planet by C. S. Planet is my favorite Mars novel. Current favorite is Ben Bova's Mars series. For reality (well, somewhat) I love the movie "The Martian." However, for science fiction with a steampunk twist I love the movie "John Carter," and the books are of great interest. 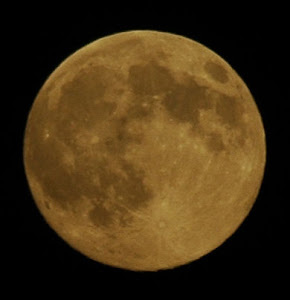 Mu favorite book that is set on Mars is "A Princess of Mars" by Edgar Rice Burroughs. I can't think of any that I've read that feature Mars specifically. The closest I can think of is Larklight by Phillip Reeve. Or maybe Into the Dark by JA Sutherland. Both really good books. I cannot wait to read this one, sounds like fun!